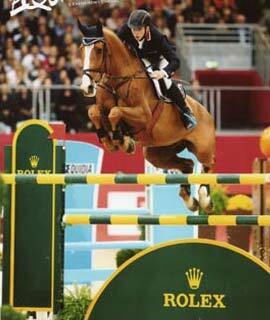 Jeanne Eriksen, Norway, contact Nicholas in 2014 to commission an oil painting horse portrait. 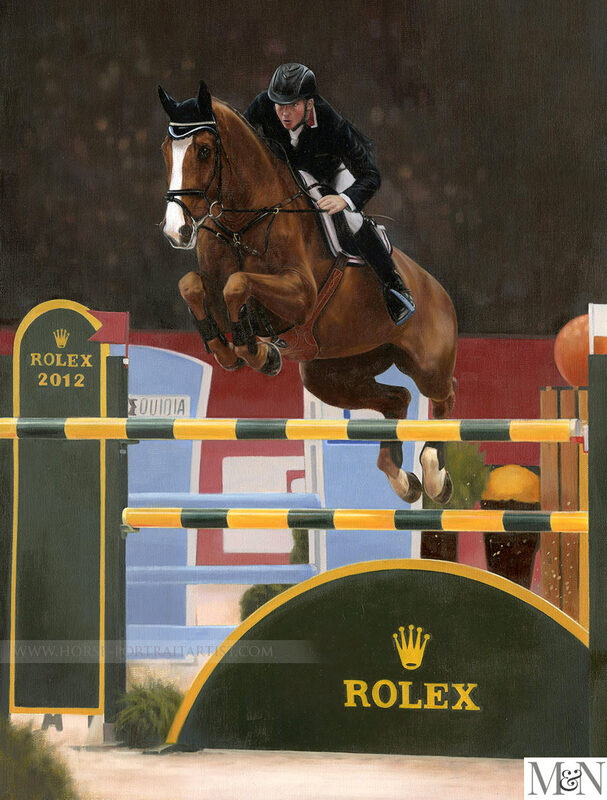 Jeanne, who is actually based in the Isle of Man, wanted to send a traditional oil painting of CC Top to her son, who was competing with him in Norway where they reside. Jeanne emailed us lots of photos, however there was one photo in particular that she wanted Nicholas to use as the main pose of the portrait. You can see this photo on the left and probably note the various things that were enhanced in the painting or omitted to improve on the composition. 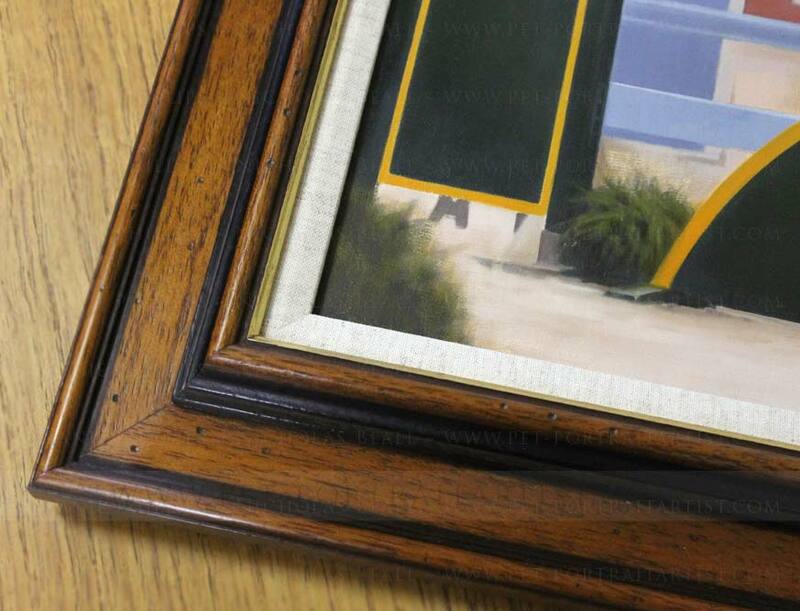 The portrait was then painted to the size of 22 x 16 on canvas and was framed by our local framer. 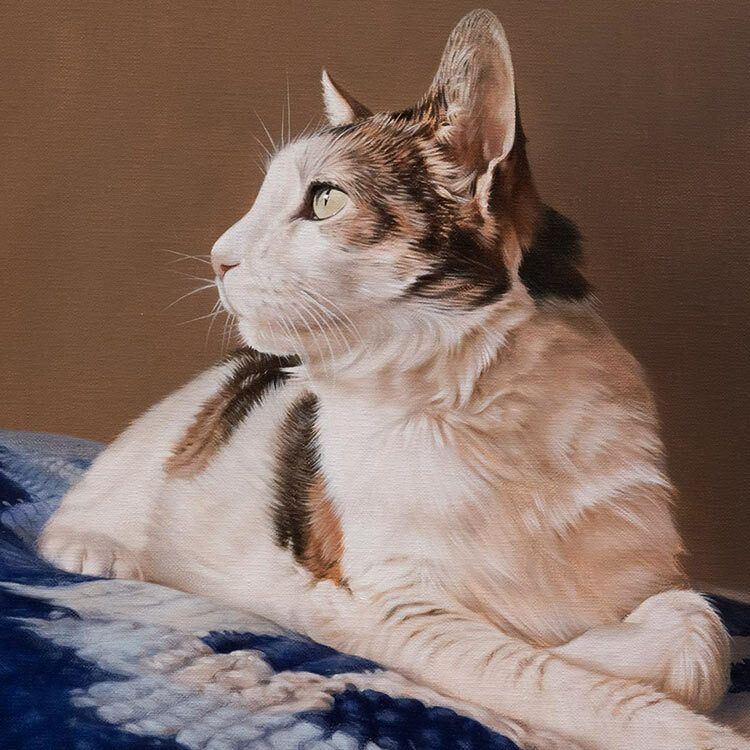 You can also see photos of CC Top framed, along with a photo of the portrait framed on the Mini easel in the studio to show scale, along with a testimonial from both Jeanne and her daughter Vicki. Vicki We are so excited about it and think it looks great. Jeanne commisisoned our local framer to frame her portrait so that she could have it sent directly to Norway to her family. 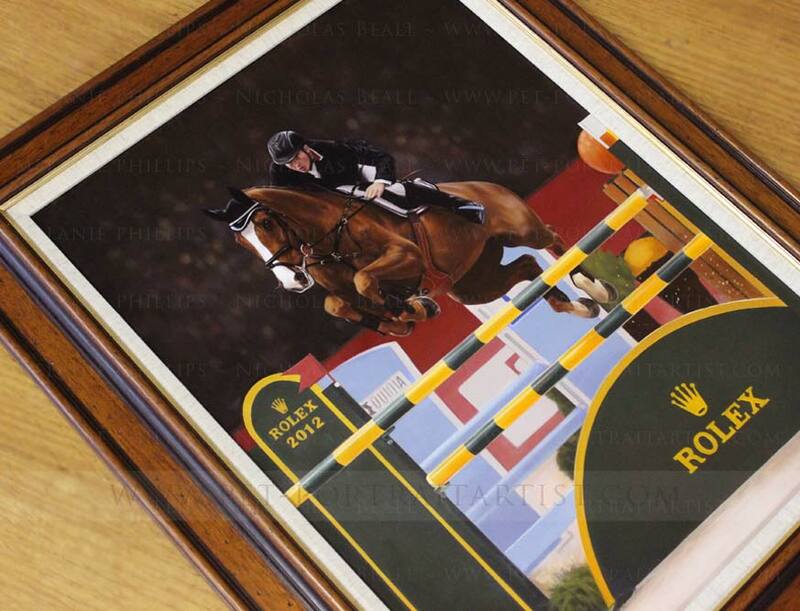 She chose to have our Tradional Flat frame, which incidentally is perfect for an engraved plaque if required. 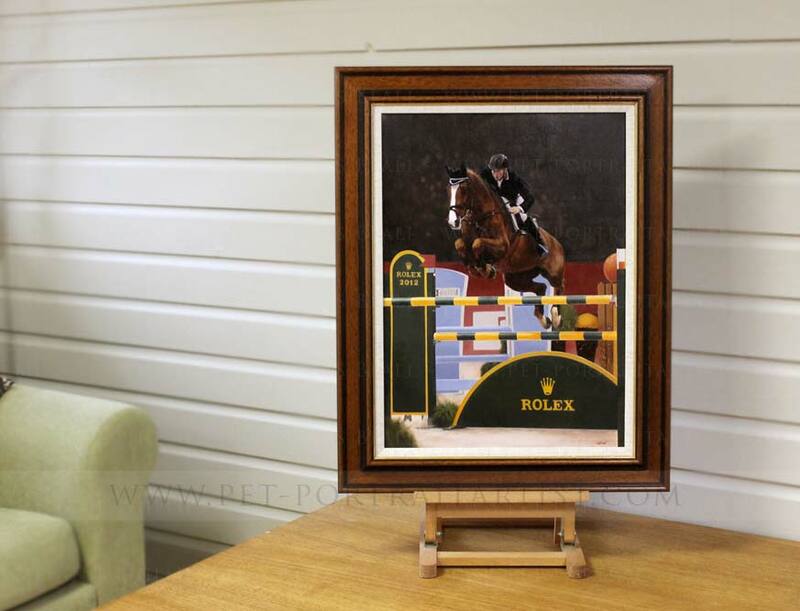 You can take a look at more of our frames on our Horse Portraits Framing page. The commission of CC Top is completely unique and if you have a photo that you feel would make a wonderful oil painting similar to this one, please do email us. We are always delighted to speak to our clients and chat about their ideas for a painting. 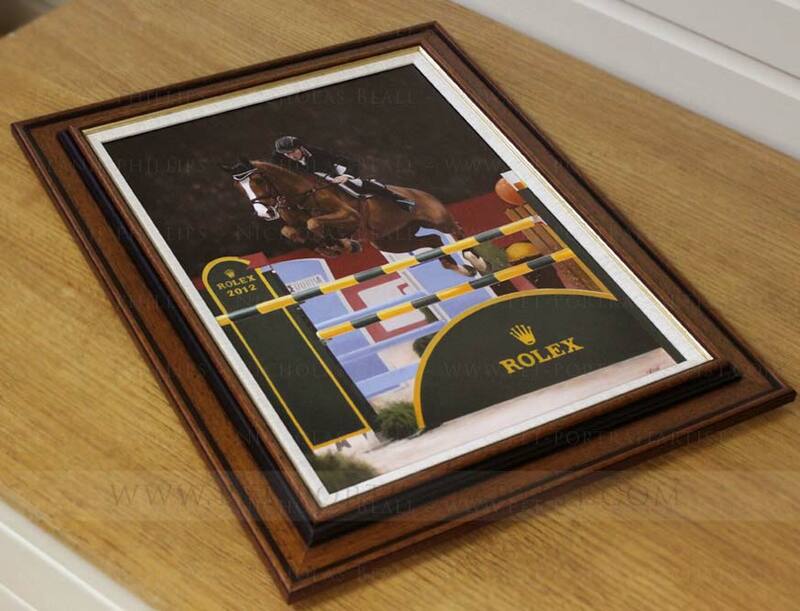 Why not drop us a line from our Horse portraits contact page.